WHAT: Hospitality brochures. 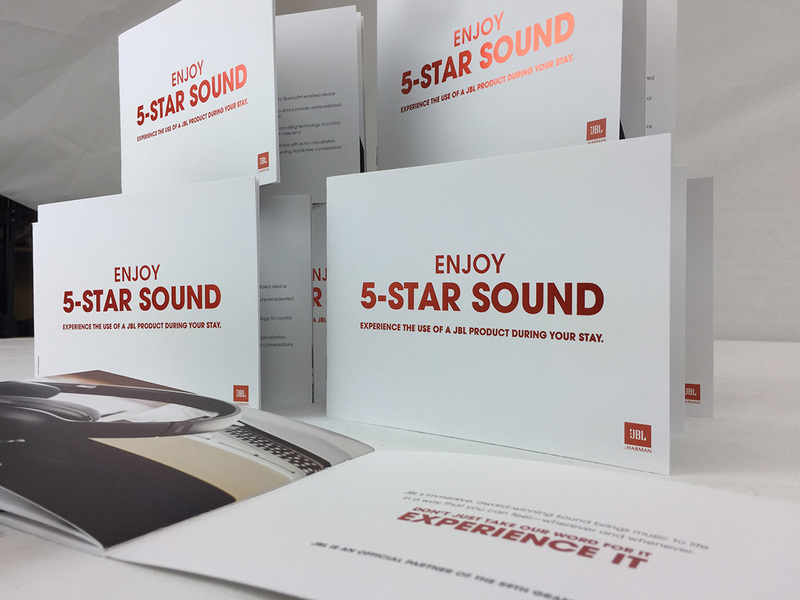 Production of JBL branded product brochures. Highly customized premium quality & high visibility brochure for 2017 Grammy attendee guests at the Beverly Hills Peninsula Hotel. WHY TBD: One partner to execute all aspects product launch. Seamless process. TBD delivered on time, In budget with superior quality! I want to learn more – please contact me.